and at the 36-hole Yahara Hills Golf Course. The league contracts with the City of Madison recreation department for tee times and plays weekly through the months of May through August. (See league play dates for this year's schedule). The goal of the WMGA is to enrich its members’ golf experiences while learning and enjoying the life-time game of golf. For over 60 years the league has strived to make golf fun while also making lasting friendships along the way. The WMGA officers are elected from both 9 and 18-hole memberships. 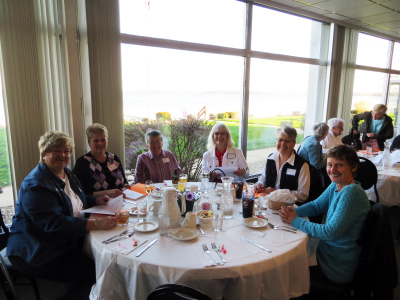 The league sponsors seasonal banquets to reward members and promote fellowship. The spring banquet, this year was held Tuesday, April 26, as a combined league event. The Madison Women's Municipal Golf League of Wisconsin was established in 1953 with Mrs. Waterman Baldwin as the first president. The WMGA has served the golfing women of Madison who play on the public courses since 1953, and is celebrating over 60 years of golf, fun and friendships. In 1977, several of its members brought the first Women’s Amateur Public Links Golf Championship to Madison. Co-Sponsored by the WMGA and the Madison Parks Department, the tournament was played on the east course at Yahara Hills Golf Course. League members Nan Farrar and Jo Ann Walker chaired the event and many of the WMGA league members chaired tournament committees. The 36-hole stroke play qualifying and match play tournament was the first in history for women public links golfers. It was held June 29-July 3, and attracted 120 golfers from around the United States. Today the WMGA league is comprised of a 9-Hole group and an 18-Hole group. Both continue to play alternating golf courses between Yahara Hills and Odana Hills for the 18-Hole group, and Monona and Yahara Hills courses for the 9-Hole group.